Crayon rolls have be come increasingly popular because children can easily use them and crayons are easy to take on the go. 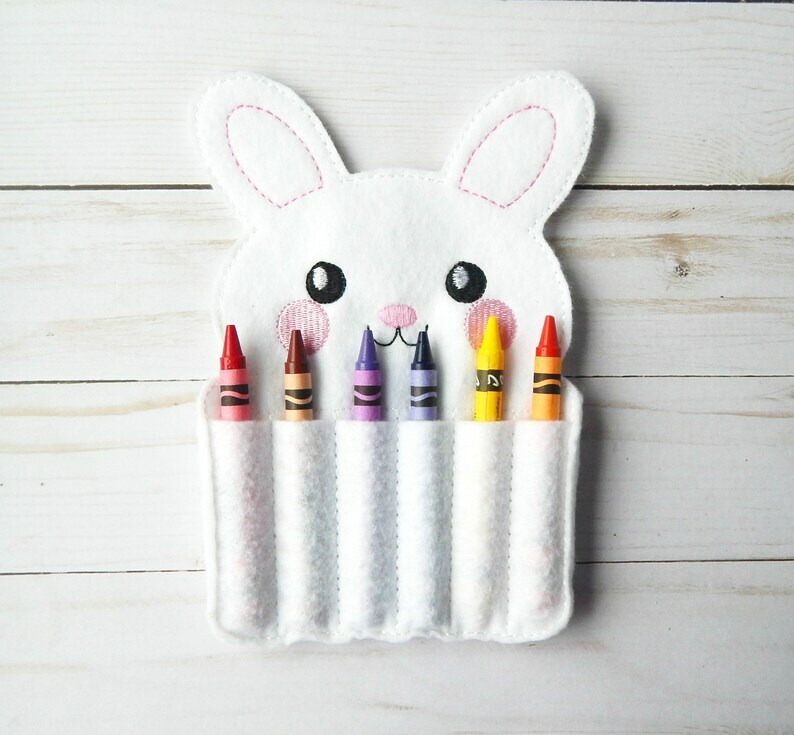 This Easter rabbit crayon roll can be added to any Easter basket to add excitement and fun on the big day. Pair this crayon roll with a holiday coloring book and give as a small gift to a budding artist. 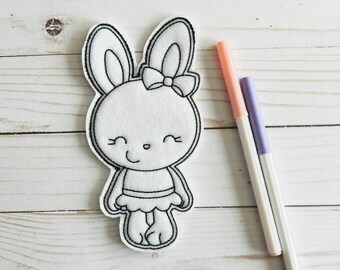 This rabbit crayon roll comes in white felt and features embroidered features. The body of the rabbit is created with two layers of high quality Ecofelt and an inside layer of stabilizer for durability. The pockets at the bottom of the rabbit are created with a third layer of felt stitched over the top of the rabbits body. Each bunny crayon roll can hold six crayons, in individually stitched pockets. Each pocket is made individually to create a tight pocket to hold the crayons. Each rabbit crayon roll measures 5 inches wide by 7 inches tall. Your new crayon roll will come include six assorted crayons in various colors. Crayon rolls are easy to pack in a diaper bag, purse, or book bag. They make a nice quiet activity for children while waiting for a doctors appointment or at a restaurant. 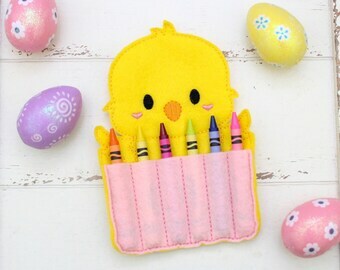 Long after Easter is over a child will enjoy using their bunny crayon roll to pack their crayons up for on the go fun. So adorable. Can't wait for Easter. Our home is smoke free and animal friendly. We have both cats and a dog but, our animals are kept separate from our studio space where items are made. If you or a family member has a animal allergy please contact us before placing your order.